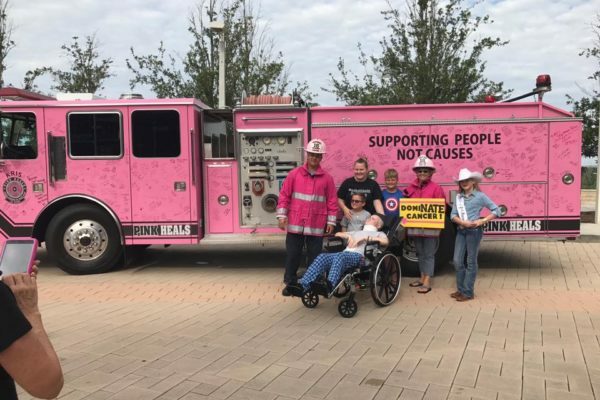 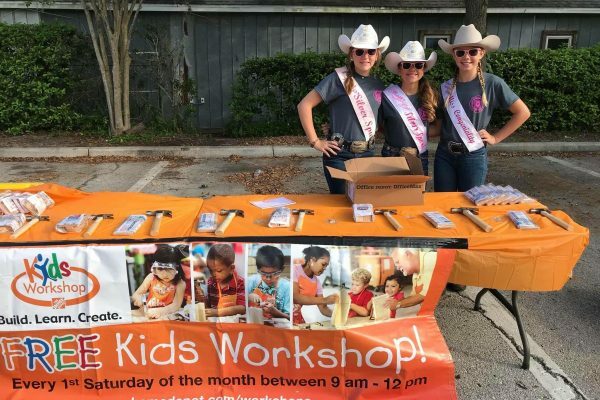 People are familiar with the glamour found in the Miss America Pageant, but the glamour isn’t limited to just one organization. In 1955, International Rodeo Management (IRM) developed the concept of Miss Rodeo America and held its first pageant later that year. 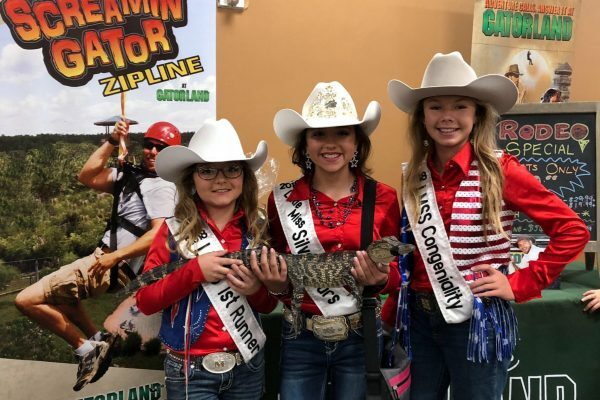 Combining the action of rodeo with the beauty and fashion you’d normally find in a pageant, it wouldn’t be long before young girls and women from across the country created their own Miss rodeo titles. 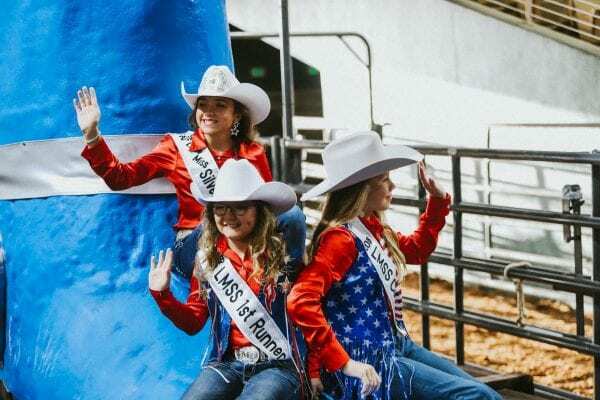 After 16 years of putting on rodeos, the Silver Spurs Rodeo was gaining a reputation for not only having the biggest purse (also known as prize money) East of the Mississippi but also for being a fun, family friendly event. 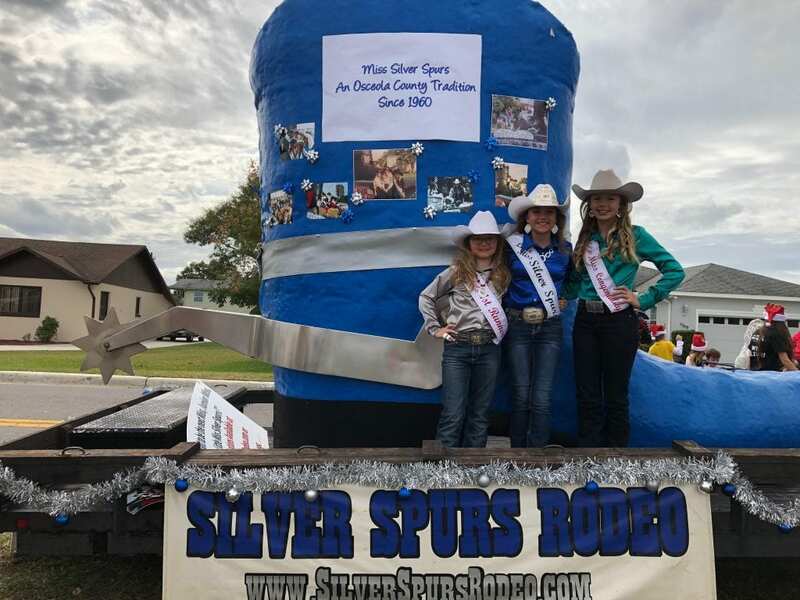 In 1960, the Silver Spurs Riding Club created the title of Miss Silver Spurs to help spread the word about the Silver Spurs Rodeo during community events and when visiting other rodeos. 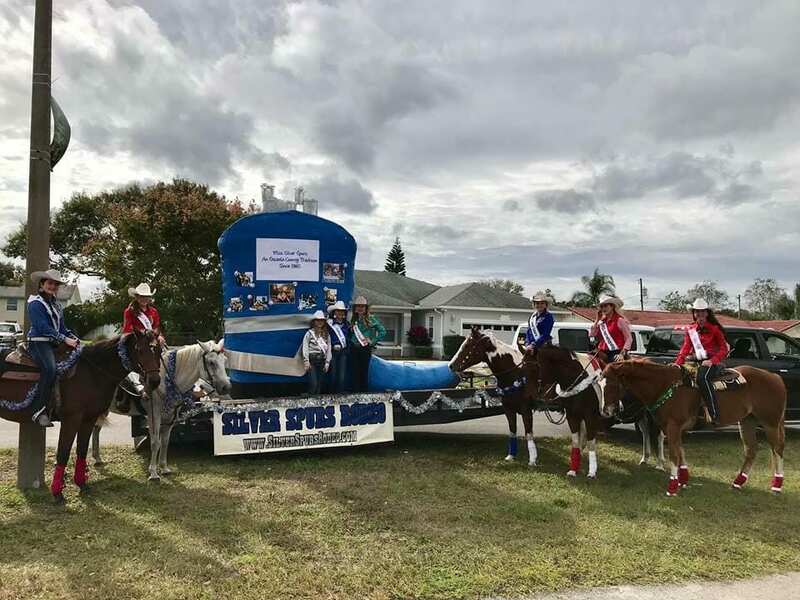 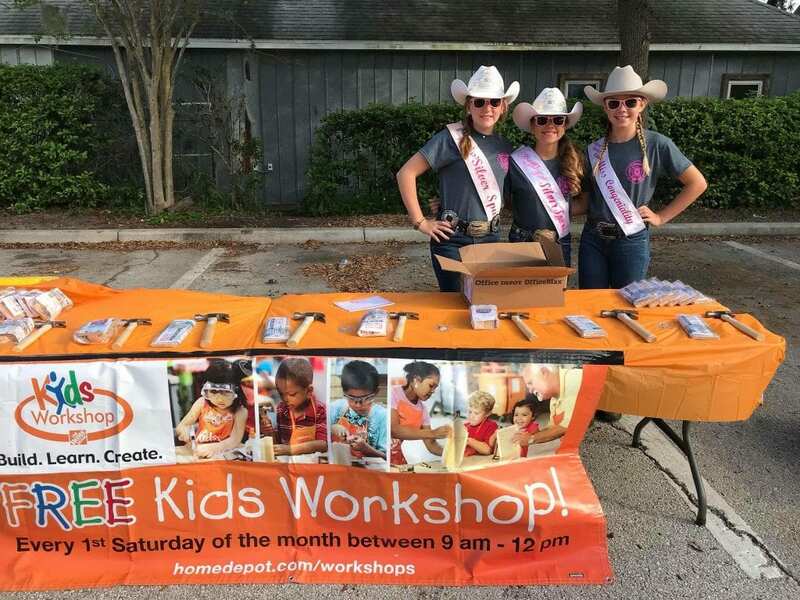 Successfully grabbing the attention of audiences across Central Florida, the Silver Spurs Riding Club would go on to add the titles of Little Miss Silver Spurs in 1972 and Junior Miss Silver Spurs in 2014. 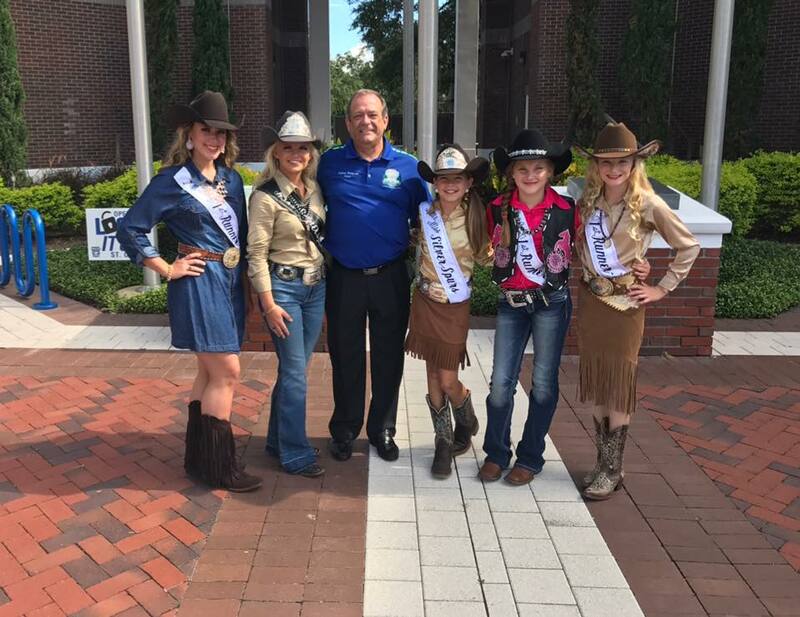 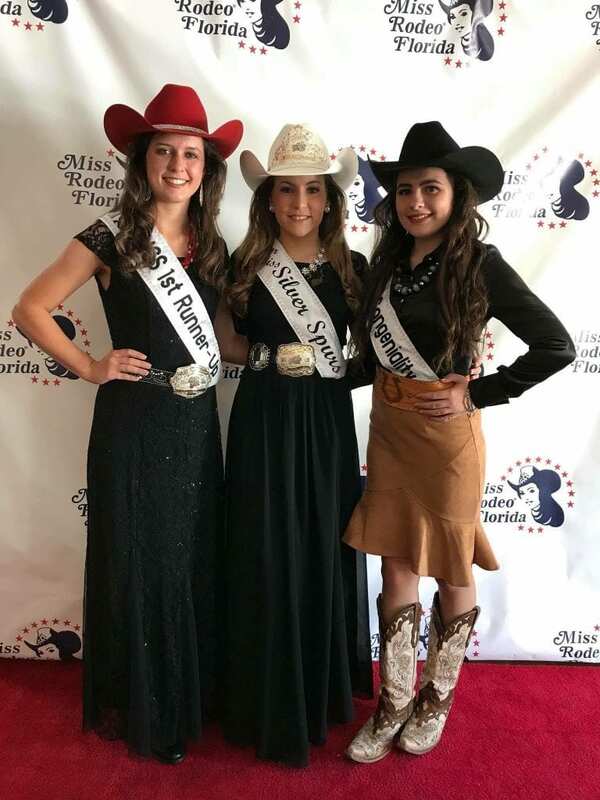 Every June, young girls and women from Osceola County compete in one of three age divisions of the Miss Silver Spurs Pageant: Miss Silver Spurs (ages 15 – 21), Junior Miss Silver Spurs (12-14), or Little Miss Silver Spurs (9-11). 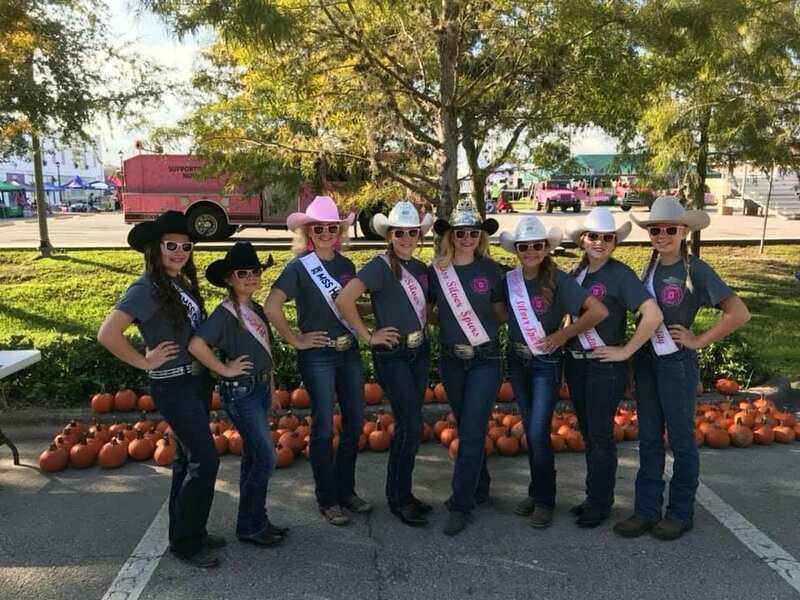 Similar to beauty pageants you’d see on TV, all the divisions will go through an appearance, interview, and speech portion during the pageant. During the appearance portion of the pageant, the girls are judged on factors such as their posture, suitability of clothing, photogenic quality and more. 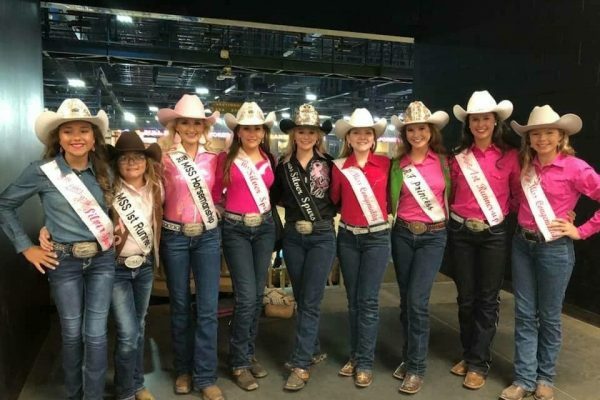 One major difference between the appearance components of beauty and rodeo pageants is the requirement of Western clothing in rodeo pageants. 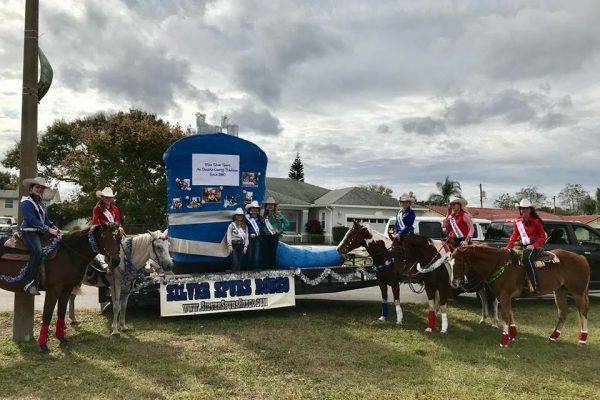 As they are representing the Silver Spurs Rodeo and the Silver Spurs Riding Club, contestants will need to be well educated on the history of the Club, knowledgeable about rodeo events, and aware of current events in general. 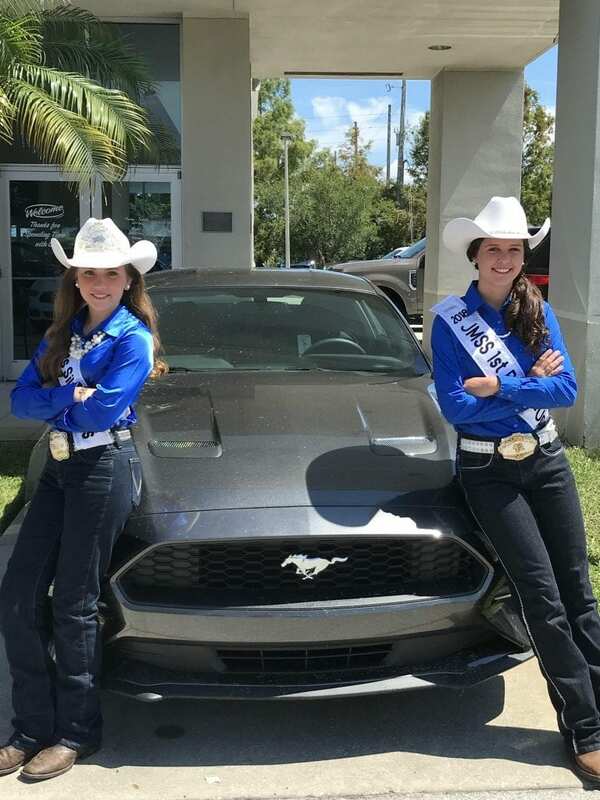 Miss Silver Spurs contestants are also required to demonstrate their horsemanship skills. 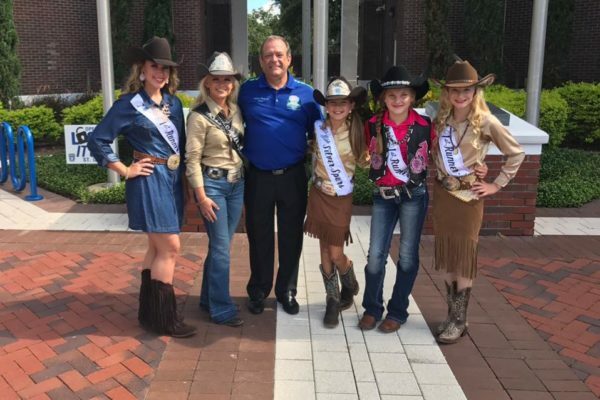 While this may sound daunting, there aren’t any crazy tricks the girls have to perform. 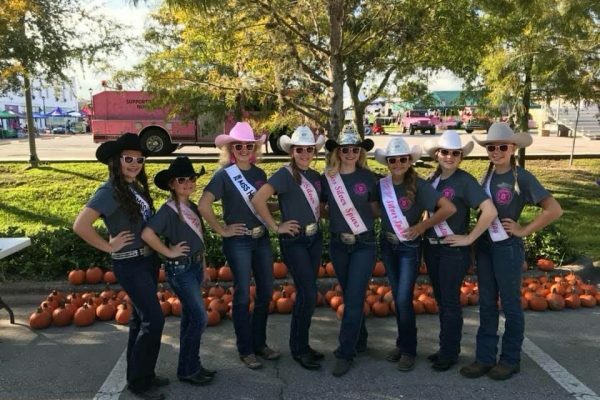 The purpose of this portion is for the contestants to 1) learn a set American Quarter Horse Association (AQHA) reining pattern that shows their control of the horse in certain moves, and 2) perform a freestyle set to a song of their choice to showcase their personality and riding skill. 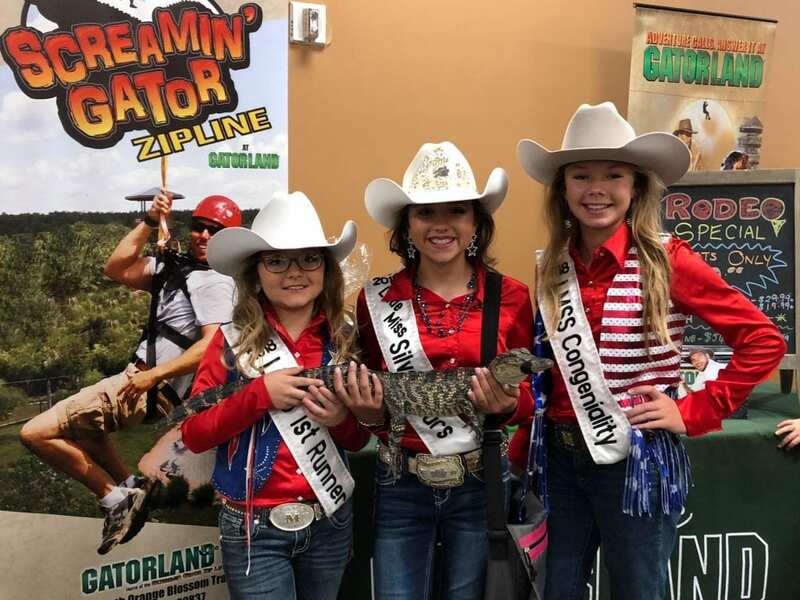 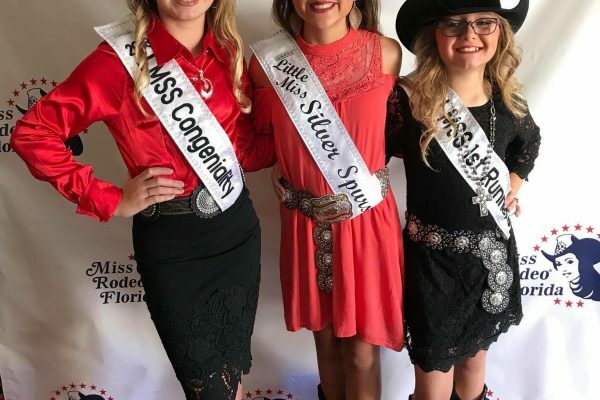 After Miss Silver Spurs and the Miss Silver Spurs Court are crowned, all the girls will take on the glory of winning, but more importantly, the responsibility of representing Osceola County and the Silver Spurs Rodeo. 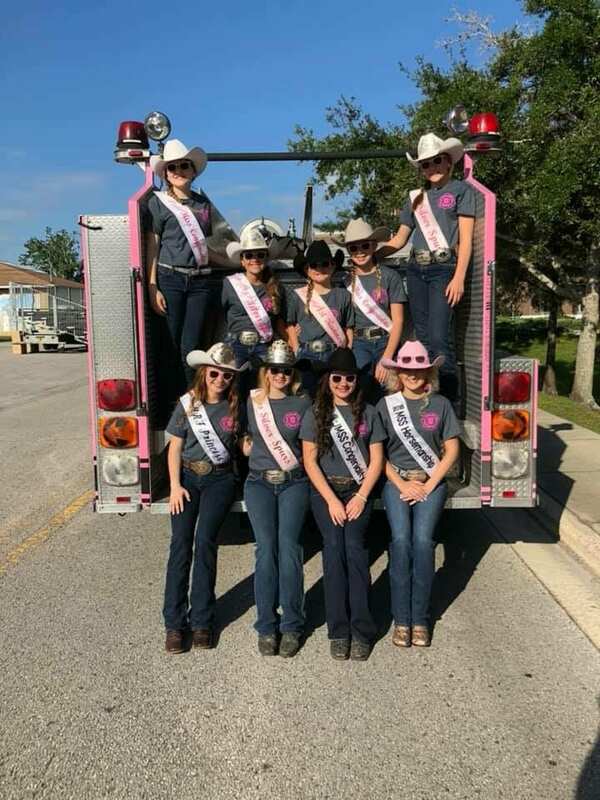 Holding their title for a whole year, the Miss Silver Spurs Court will represent the Silver Spurs Rodeo at other local rodeos and community events that take place throughout the year. 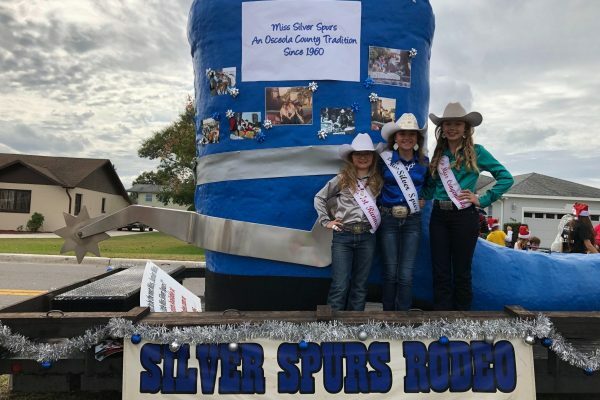 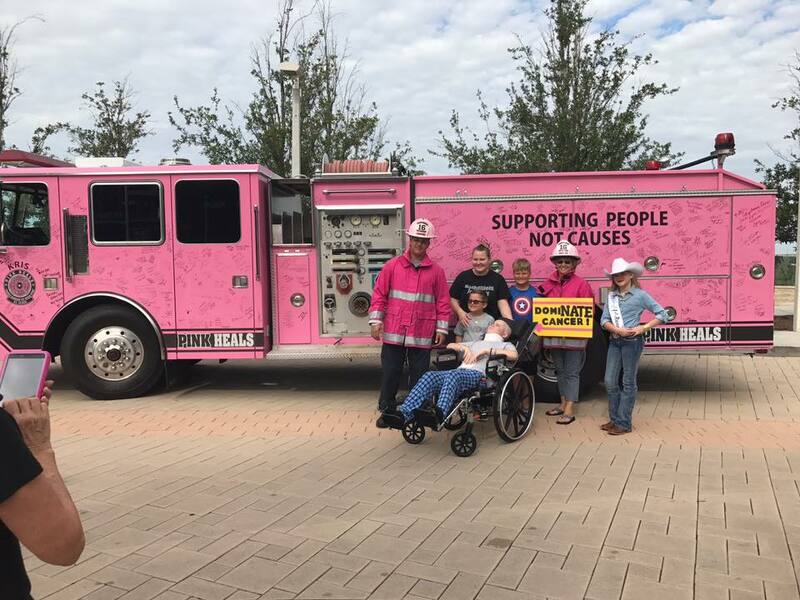 As a rodeo ambassador of the Silver Spurs Rodeo, the Miss Silver Spurs Court should be able to educate the public on the Silver Spurs Rodeo and how the Silver Spurs Riding Club serves the community. 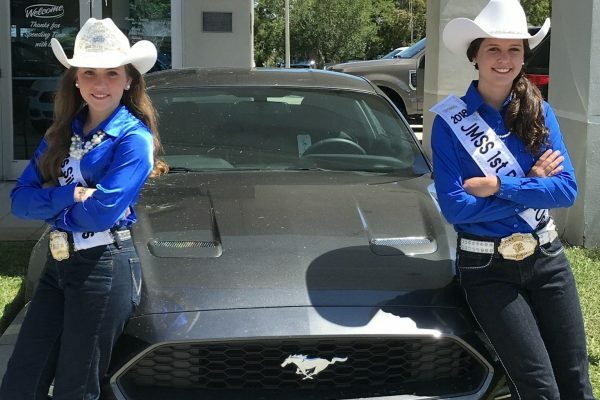 One of the unique aspects of this pageant compared to other beauty pageants is that it prepares the contestants for the competition. 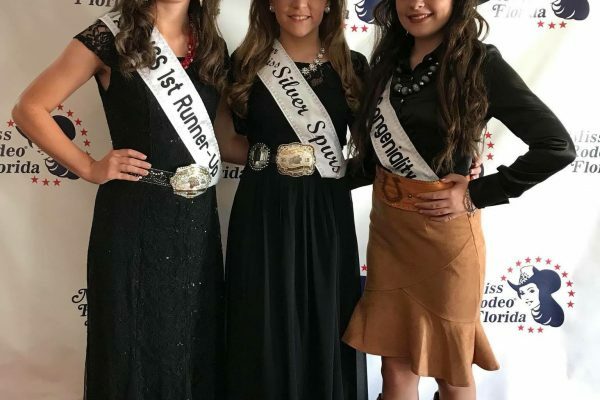 After filling out the Miss Silver Spurs application and paying a nonrefundable $85 entry and application fee, the Miss Silver Spurs Committee will review and approve all qualified applications and notify the girls of when the first Miss Silver Spurs contestant meeting will take place. 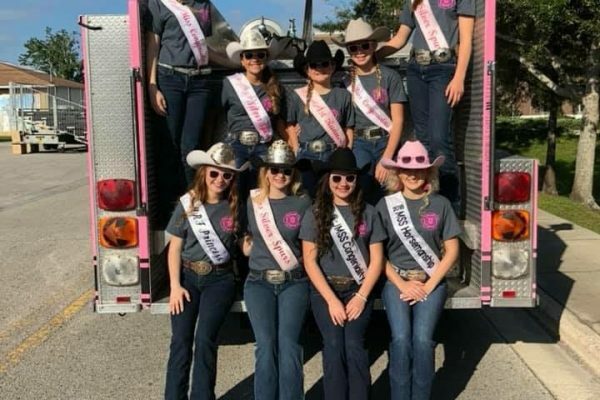 Leading up to the Miss Silver Spurs competition, the contestants will meet throughout the month with the current Miss Silver Spurs Queens and Miss Silver Spurs Committee to learn what to expect from the judges and how to prepare for the competition. 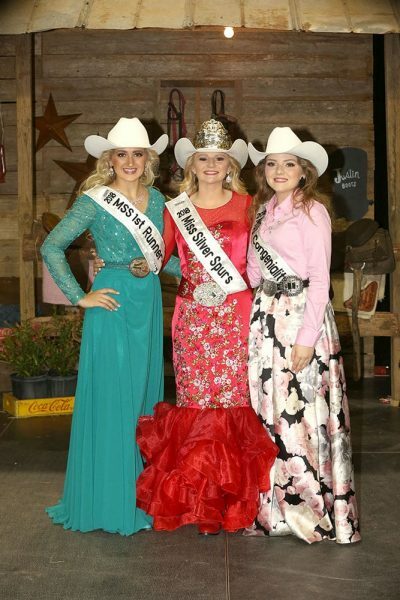 Contestants will go through mock interview sessions to prepare them for future media interviews, learn proper poise and etiquette for when they are out in public and practice many questions to prepare them for rodeo industry or Silver Spurs Riding Club related questions they might receive during their reign. 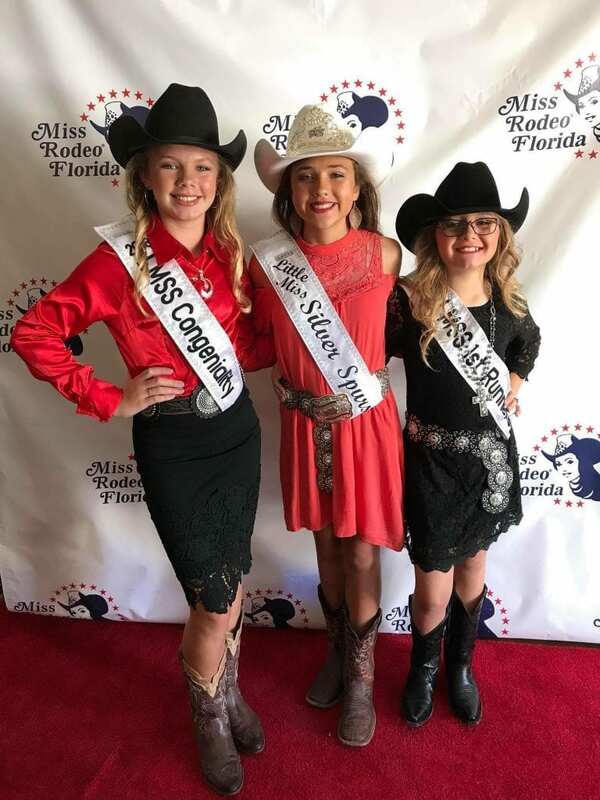 For more information about Miss Silver Spurs, Junior Miss Silver Spurs, and Little Miss Silver Spurs, please contact Tiffany Chapman at (407)-973-2985.